Both the National Distress and Response System (NDRS) and Global Maritime Distress & Safety System (GMDSS) provide coverage for boaters. NDRS is the primary distress alerting and SAR command, control and communications (C3) system for U.S. coastal waters (which extends from the territorial baseline out to 20 nautical miles). GMDSS is an internationally established distress and safety system. 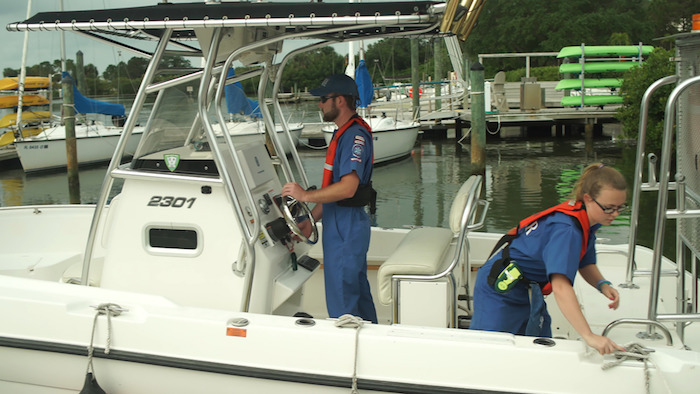 If a boater is in distress (threatened by grave and imminent danger), they should contact search and rescue assets via VHF-DSC marine band radio, or with an EPIRB or PLB. 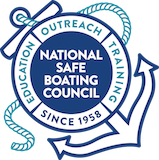 It is the boater’s responsibility to contact search and rescue assets. A boater should always carry at least two communication devices that will work when wet. Please note, the U.S. Coast Guard does not endorse cellular phones as a primary means of distress notification in the maritime environment. Cell phones have several shortcomings in the maritime environment that can delay search and rescue authorities. 8. The U.S. Coast Guard will dispatch the closest, capable Search and Rescue (SAR) assets. 1. Distressed boater activates emergency locator beacon (EPIRB or PLB). 2. Beacon transmits a 406 MHz emergency message containing the boater’s Unique Identifier Number (UIN) to the LEOSAR (polar orbiting) and GEOSAR* (geostationary) satellite systems. 3. The satellites relay the 406 MHz emergency message to a ground station called the Local User Terminal (LUT). The LUT calculates the location of the signal by measuring the Doppler shift caused by the relative movement between the satellite and the beacon and forwards the location to the Mission Control Center (MCC). 4. The MCC continues to receive information from additional satellite passes and further refines the beacon position (2.3 nm search radius). An alert message is generated that is combined with the registration information from the database and is forwarded to the appropriate Rescue Coordination Center (RCC). 5. The RCC makes contact with the persons listed in the database to verify the existence of an emergency and gathers additional information about the beacon users. The RCC will dispatch the closest, capable Search and Rescue (SAR) assets. 6. Local SAR assets launch a rescue mission and use the 121.5 MHz homing signal to pinpoint the beacon.